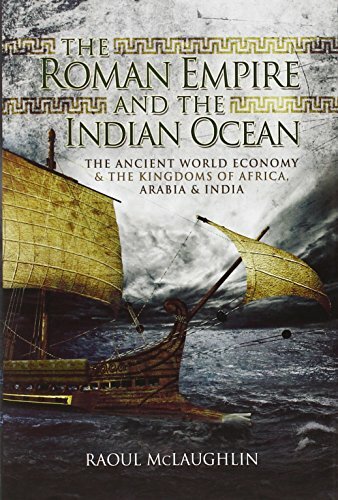 [PDF] The Roman Empire and the Indian Ocean: The Ancient World Economy and the Kingdoms of Africa, Arabia and India | Free eBooks Download - EBOOKEE! Description: The ancient evidence suggests that international commerce supplied Roman government with up to a third of the revenues that sustained their empire. In ancient times large fleets of Roman merchant ships set sail from Egypt on voyages across the Indian Ocean. They sailed from Roman ports on the Red Sea to distant kingdoms on the east coast of Africa and the seaboard off southern Arabia. Many continued their voyages across the ocean to trade with the rich kingdoms of ancient India. Freighters from the Roman Empire left with bullion and returned with cargo holds filled with valuable trade goods, including exotic African products, Arabian incense and eastern spices. This book examines Roman commerce with Indian kingdoms from the Indus region to the Tamil lands. It investigates contacts between the Roman Empire and powerful African kingdoms, including the Nilotic regime that ruled Meroe and the rising Axumite Realm. Further chapters explore Roman dealings with the Arab kingdoms of south Arabia, including the Saba-Himyarites and the Hadramaut Regime, which sent caravans along the incense trail to the ancient rock-carved city of Petra. The Roman Empire and the Indian Ocean is the first book to bring these subjects together in a single comprehensive study that reveals Romeâ€™s impact on the ancient world and explains how international trade funded the Legions that maintained imperial rule. It offers a new international perspective on the Roman Empire and its legacy for modern society. No comments for "[PDF] The Roman Empire and the Indian Ocean: The Ancient World Economy and the Kingdoms of Africa, Arabia and India".